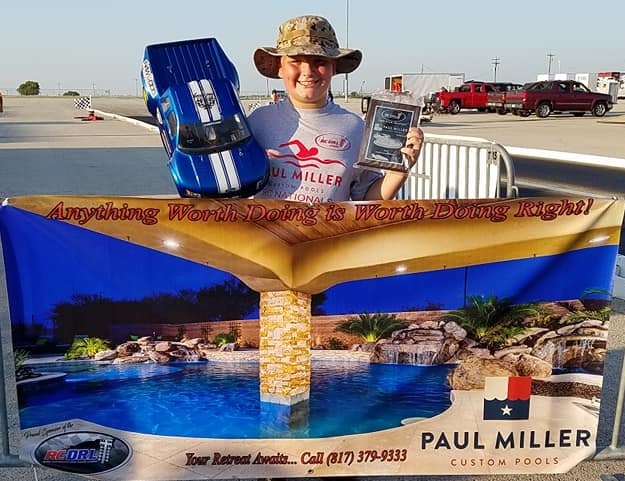 135 driver entries competed in the second round of the 2018 Countdown to the Championship Playoffs Saturday, August 25th at the Paul Miller Custom Pools RC Nationals. Emotions started early this playoff season as every point counts for those competing for class championship honors! In Traxxas Pro Funny Car, it was once again an all Mercadel final. This time it was the reigning TPFC Champion Joshua Mercadel grabbing his second victory overall and first in Traxxas Pro Funny Car this season. Coming in as the #6 qualifier, J. Mercadel drove past #5 Randy Mayhew in round one. In round two, J. Mercadel needed a holeshot win to get past the Bowman Performance driver, Heather Bowman for the win light. (#6 Joshua Mercadel ➧ .027 RT / 2.133 ET def. a quicker but losing #2 Heather Bowman ➧ .165 RT / 2.117 ET.) In the semi-finals, J. Mercadel earned the bye-run and advanced to the final round for the second time in as many weeks. In Young Gunners, it was Christian Russell outlasting his side of the ladder to advance to his second Young Gunner final of the year. Russell defeated Piper Munson and Sarah Shipman in the early rounds. He earned the bye-run in the semi-finals to advance to the finals. On the other side of the ladder, number two qualifier Dallas Pfeil was able to defeat Colby Taylor in round one. He was awarded the bye-run in round two to advance to the semi-finals where he took out the number one qualifier Trace Faulkner. In the finals, Russell was able to get the job done and pick up his second win of the season in the process. With the win, Christian Russell moved up 5 places to the number two spot in the Countdown to the Championship! Over in Pro Stock, we had 10 entries. 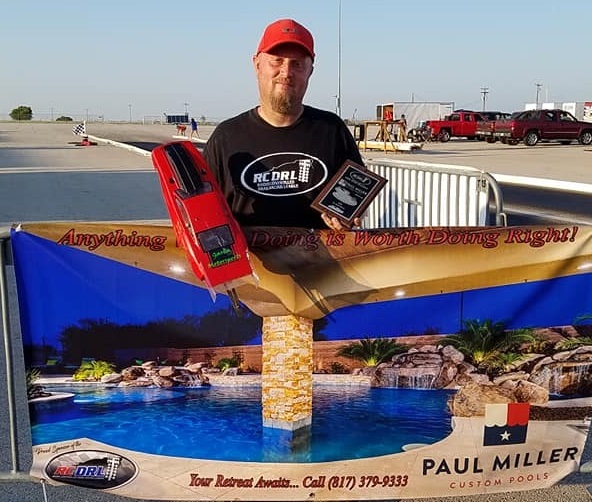 Casey Baker took the number one spot with a quick 1.689, but it was points leader Jeremy Miller stealing the show again as he marched through the field of talented drivers. Miller defeated Willie Thomas and Robert St. Pierre in the early rounds to advance to the semi-finals. He then earned the bye-run to the finals. 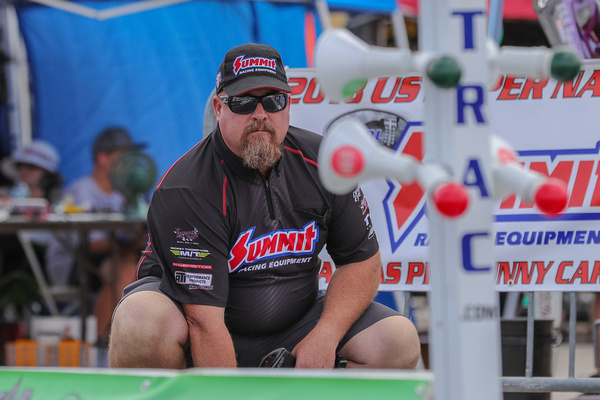 In Traxxas Sportsman Funny Car, points leader Eric Bowman extended his points lead again by grabbing the #1 qualifying spot and advancing all the way to the finals. He received a bye-run in round 1 when Chris Hernandez was not able to get to the starting line. In round two he was awarded the competition bye-run. In the Semi-finals, Eric Bowman .104 RT / 2.392 ET def. #4 Bill Nelson .056 RT / 2.498 ET to advance to the finals. On the other side of the ladder, #6 qualifier Scott Davis made his TSFC playoff debut in solid fashion. Over in Street Eliminator, 19 entries tried to make the 16-car field. Number four qualifier Joel Shipman has been quietly making his way up the leaderboard all season. With three runner-up finishes in Street Eliminator this season, Shipman was determined to seal the deal. In eliminations, Kelli Garca and Matthew Munson fell to Shipman in the early rounds. In what was one of the best semi-finals of the year, Shipman faced off against JD Crow. In the 2.50 Index class, Piper Munson the #14 qualifier battled her way through the 15-car field in hopes of winning her second index race. She was able to put Randy Mayhew and Bill Nelson on the trailer in the early rounds. In the semi-finals, she was able to get past the young, talented Brandon Mares to advance to the finals. On the other side of the ladder, Chris Markowski was on his way to another final round match-up but had to get around Jeff Schmidt, Jr., Tony Malone, and the reigning 2.50 Champion Eric Bowman to advance to the finals to face Munson. In the finals, Markowski was able to take out Munson when she clicked on the red light by only five-thousandths of a second. (#9 Chris Markowski ➧ .126 RT / 2.50 Dial (.026 off) / 2.526 ET def. #14 Piper Munson ➧ -0.005 RT / 2.50 Dial (.084 off) / 2.584 ET MOV: .073) With this win, Markowski takes over the points lead in the 2.50 Index Championship battle. 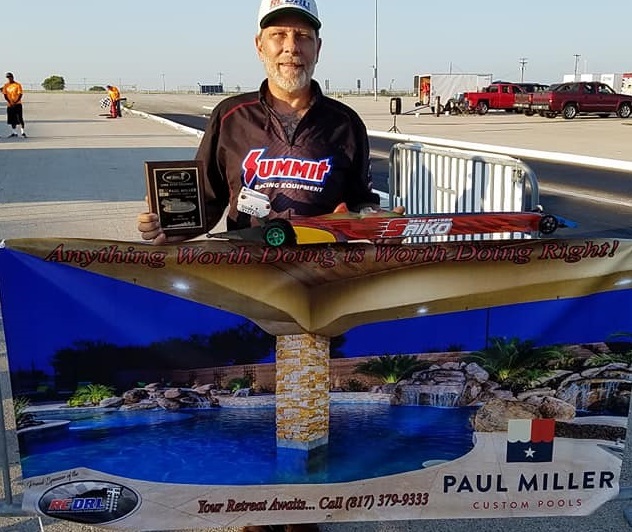 Newly licensed Top Fuel pilot David Goldstein proved that while being new to the RCDRL he is no rookie within the Top Fuel ranks. Coming in as the #6 qualifier, Goldstein got past Brandon Mares in round one. 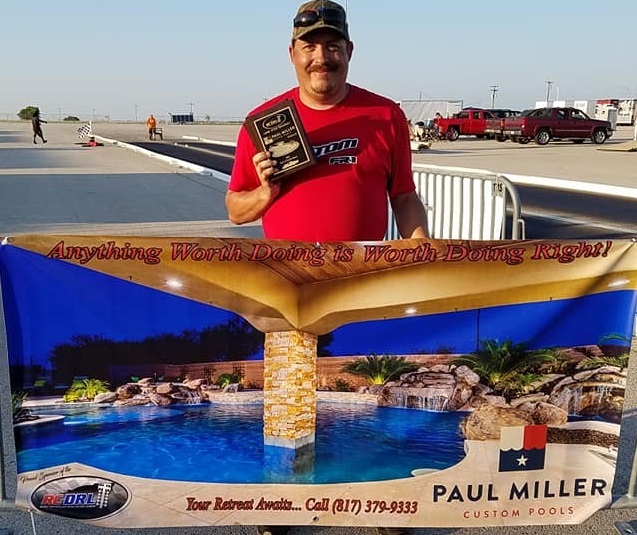 In round two he faced the reigning Top Fuel Champion David Mares, and in true veteran form was able to beat the quicker but losing Mares on a holeshot. (#6 David Goldstein ➧.012 RT / 1.318 ET def. #1 David Mares ➧.093 RT / 1.305 ET MOV: .068 Holeshot Win) In the semi-finals, Goldstein was able to defeat JR Summons and advance to the finals. On the other side of the ladder #3 qualifier Robert St. Pierre was doing damage of his own to the nine-car field. St. Pierre defeated Donnie Johnson and Duwayne Cooley in the early rounds. In round three he was awarded the competition bye-run advancing him to the finals to face Goldstein. In a much-anticipated Top Fuel final round, both drivers were staged and ready. When the tree dropped, St. Pierre was seven-thousandths of a second too quick and clicked on the red light. Goldstein left the starting line with a brilliant .012 reaction time but was not able to stay in his lane. He was disqualified by way of the first or worse rule handing the win back over to St. Pierre. Robert St. Pierre now holds a ninety-nine points lead over second-place David Mares. In Quick 16, Chris Markowski owned the show. Markowski was able to put Joshua Mercadel and Norris Graves on the trailer during the early rounds of eliminations. In the semi-finals, he faced Oklahoma City’s Nacho Thacker and on a holeshot Markowski was able to defeat him and advance to the finals. On the other side of the ladder, Tony Malone was making his way to the finals. He took out Kelly McCart, Eric Bowman, and Jeff Schmidt to advance to the finals. In one of the closest Quick 16 finals of the year, Markowski took the win by just eight-thousandths of a second over Malone. (#8 Chris Markowski ➧ .089 RT / 2.08 Dial (.045 off) / 2.125 ET def. #3 Tony Malone ➧ .134 RT / 1.95 Dial (-0.008 off) / 1.942 ET) In the Quick 16 points battle, Markowski jumped to the number two spot and Malone moved up to the number five spot in the 2018 Countdown to the Championship. 19 talented drivers were all on the quest to go five rounds of racing in the All Run Bracket Class. 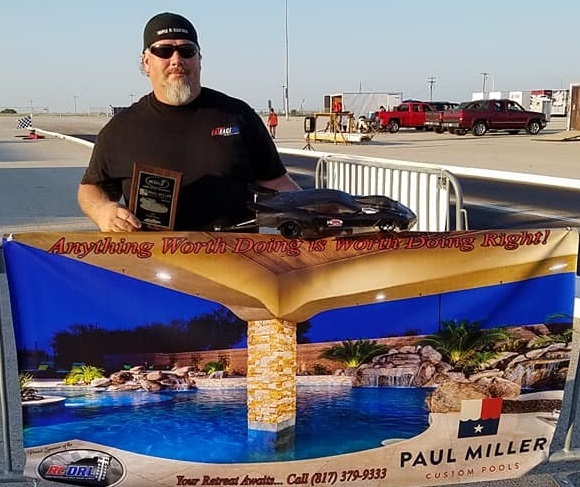 Mike Pfeil the #16 qualifier who had never been out of first round this season in any class was able to get his first win in round one against Matthew Munson. 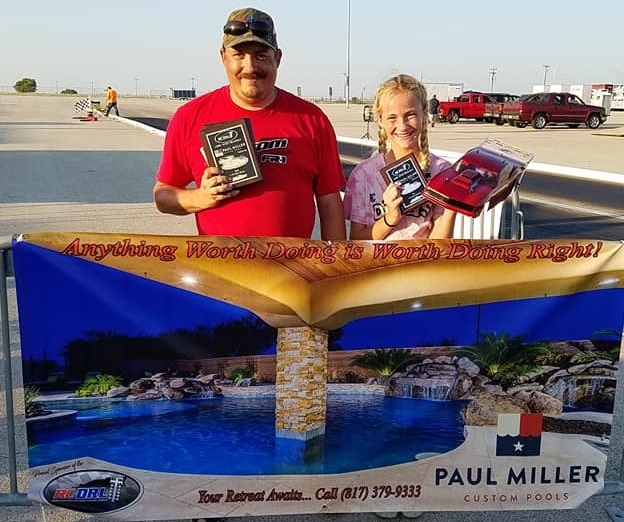 He went on to put Piper Munson, JD Crow, and Kelli Garca on the trailer to advance him to the first ever final with the RCDRL. On the other side of the ladder, the bracket master Jeff Schmidt Jr. was on his way to yet another final. Schmidt was able to outlast Jayme Bates, Joel Shipman, and Carl Russell in the early rounds. In the semi-finals, Schmidt was awarded the competition bye-run advancing him to the finals. In this All Run Final Schmidt had a championship, 77 round wins this season, and lane choice over Pfeils 4 round wins. (All round wins came from today’s event.) So clearly the odds were stacked against Pfeil. 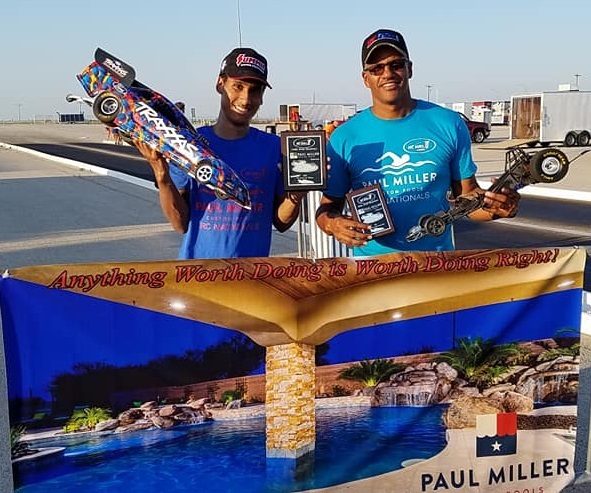 Cutting his best light of the weekend, Pfeil cut a better reaction time and was closer to his dial than Schmidt and in doing so captured his very first RCDRL win in his six years with the league. Congratulations Mike for getting the monkey off your back!!! 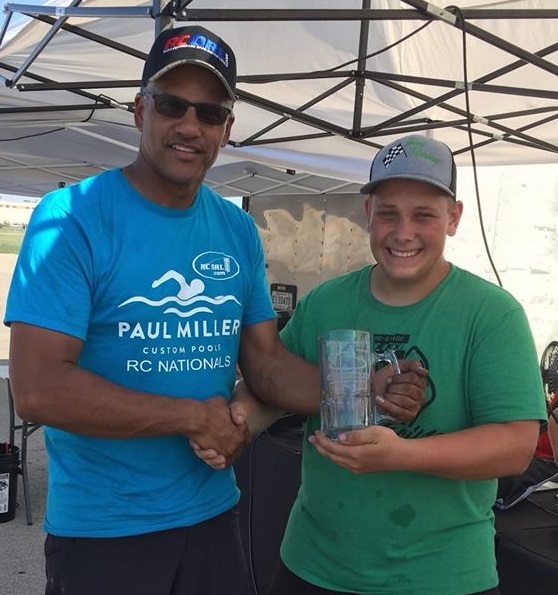 This event JConcpts.net Holeshot Award Winner was Zack Shivers with a .001 reaction time. Best of all first-round contenders. 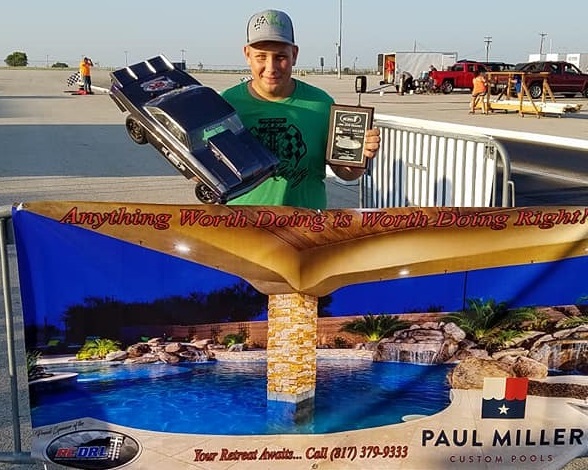 Once again, I would like to thank our sponsor Paul Miller Custom Pools of Keller, Texas (http://www.paulmillercustompools.com) Also, the tireless efforts of our Officials, Stat Girls, and Raffle Ladies… Another job well done! 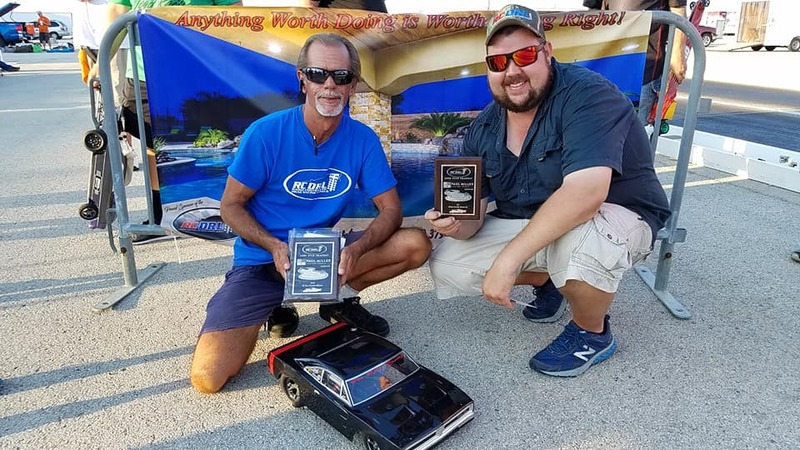 The RCDRL Podcast Show is Back… Host Michael Mercadel with Guest Dewayne Shipman & Jeff Cheatham brings You Episode #45!